In a bizarre coincidence, earlier in the day I’d read about the jet stream’s current velocity pushing eastbound airplanes as fast as 801 miles per hour — which is about how fast city planner Andrew Ruegg zipped through 96 slides in about 40 minutes at last night’s second PD-15 community meeting. While some of the city’s all-important graphics could have benefitted from a few more seconds on the screen, it was a comprehensive overview of the draft proposal being delivered to city plan commission on March 21. Note to city: Graphics of exactly what’s on the table are critical to comprehension. They should be there at the get-go, not batting clean-up. But just as the Preston Road and Northwest Highway Area Plan didn’t take economics into consideration, the city’s PD document really didn’t either. It would have been helpful to have had a “likely outcome” section. CHANGE IS COMING to District 13!!! (and I don’t mean Staubach’s supersized version) Click the links below – AND: SIGN the change.org petition – AND: GO PARTICIPATE IN DEMOCRACY FEBRUARY 19th at 6:30pm at Hyer Elementary!!!!!!!!! SPREAD THE WORD NOW!!!!! SORRY JEN: LONG LIVE DEMOCRACY! Its poor grammar, bombastic language, and the accompanying misleading images reminded me of the sound of a group of seagulls hovering over a restaurant dumpster – or basically, the internet. I wonder if they’ll be yelling “LONG LIVE DEMOCRACY” if Laura Miller loses her race against council member Jennifer Gates? First, the campaign seems to be run by the same people who delivered the recent towers meeting. Everything is assumed to be the evil plot of council member Jennifer Gates – almost like it were politically motivated. I can’t seem to go a week these days without some wrinkle or shenanigan involving Planned Development District PD-15, located on a small patch on Northwest Highway near Preston Road behind the Pink Wall. Last week, the Athena and Preston Tower had their fact-free punch-fest, and this week it was the Preston Hollow East Neighborhood Association’s turn (PHENA). They’re the single-family neighborhood north of the Preston Hollow South Neighborhood Association (go figure). For about a week, I’d been aware of a small but vocal (ok, accusatory) group of the neighborhood’s residents who appear to have awoken from a slumber now that PD-15’s future is finally getting serious. Granted, I know the world doesn’t all read my missives about PD-15 (here, on D Magazine – here, here – or Preston Hollow People), but PHENA has also sent scads of emails, texts, Facebook posts, and updates on the neighborhood’s website. My ears are cinders from what’s been said about me on Backdoor, Sidedoor, Frontdoor Nextdoor. Personally, I leave the social media trash talk, gossip-mongering, and digital curtain twitching to those with nothing better to do. The point being, folks six feet under at Sparkman Hillcrest have heard about the ongoing redevelopment planning for PD-15. Given that the Preston Place condos burned down weeks shy of two years ago, you’d almost have to be willfully out of touch. When I first heard about Preston Tower and Athena owners meeting to discuss PD-15, I nicknamed it a “witch burning” and it did not disappoint. Bill Kritzer, the main speaker from Preston Tower, accusingly called out Council Member Jennifer Gates’ name so many times that if she had a dollar for each utterance, she could fund the Preston Center garage out of petty cash. The troubles of the world were heaped on her shoulders, every real or imagined slight (OK, they were all imagined) dumped on her doorstep. Meanwhile praise was reserved for the Preston Hollow South Neighborhood Association (PHSNA) and its work for the neighborhood. I find that praise comical. 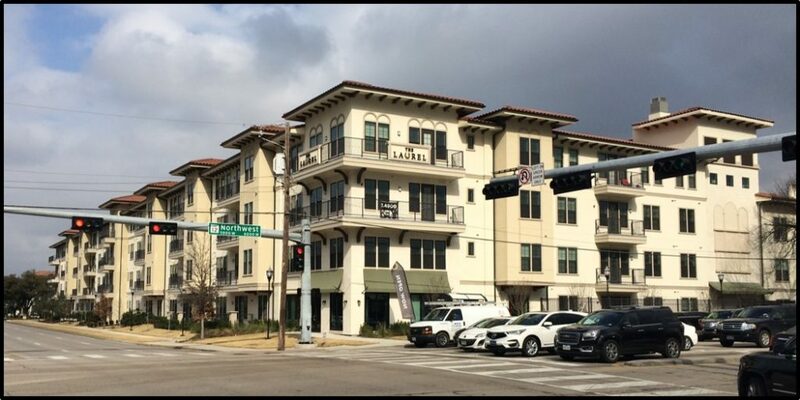 It was PHSNA leadership that gave residents the Laurel apartments – that are universally reviled. 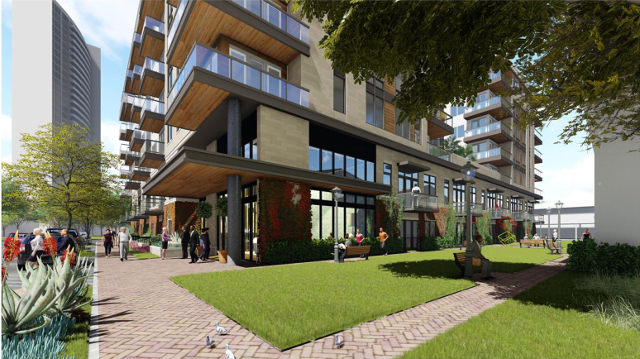 So the talk track was that the Laurel process was better because the developer met with PHSNA leadership – but the neighborhood wound up with a building they hate. Somehow that irony was lost on the packed house at the Athena. 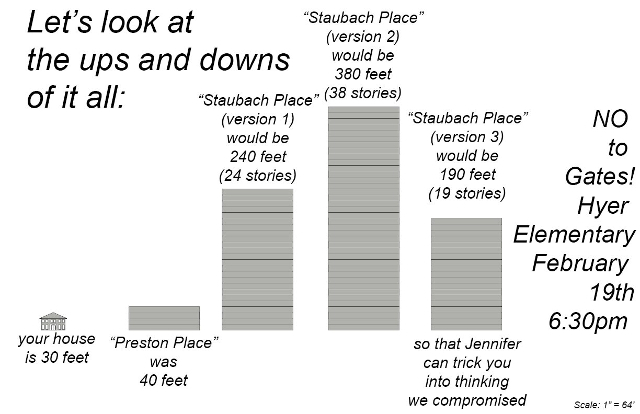 Also lost on the group was the understanding that the Laurel building they hate is three and four stories – the same height they cheered for. While the biggest example, it was hardly the last piece of incoherent thinking observed. Had their been Kool-Aid, there’d have been a fight for the pitcher. 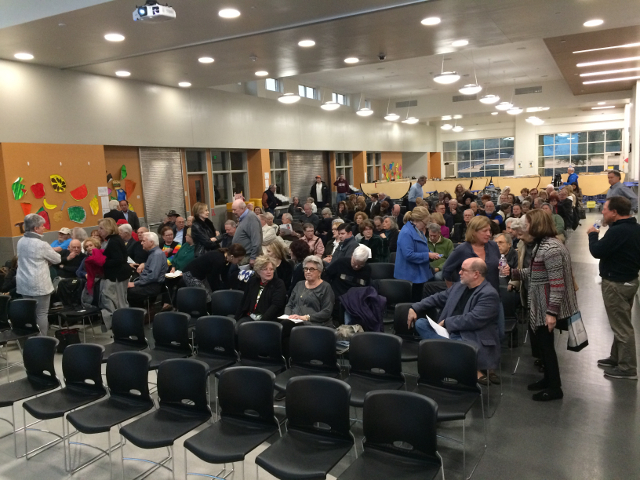 The run-up to Wednesday’s tenth PD-15 meeting should’ve filled area residents with anger. The self-centered towers were at it again. On Monday, Athena management company ICI Real Estate sent residents an “URGENT!! !” call for Athena residents to attend last night’s meeting (Preston Tower did the same). It said Bob Bowling from Preston Tower was going to make a motion to dissolve the authorized hearing and send developers directly to City Plan Commission. Athena representative Margaret Darden was scheduled to second the motion after which residents in the audience were encouraged to stand and applaud. It was so kindergarten, I’m surprised there wasn’t a warning about not eating paste. Their argument consists of the same tired, disproven tropes as always – four high-rises, unprecedented traffic and 10 years of non-stop construction. Blah, blah, blah. If you want to sing that song, read this or this. You may recall back in July, I reported on an email Preston Hollow South Neighborhood Association (PHSNA) president John Pritchett sent to committee members where he said they’re “not the A-Team in terms of zoning matters.” Apparently, Towers representatives Bob Bowling, Tatiana Frierson, Margaret Darden and Barbara Dewberry agree with the assessment, so hot are they to disband the committee. It’s almost comical, too. The Laurel apartments on Preston Road and Northwest Highway are pretty universally disliked and yet these representatives are in the same camp as Pritchett, who —to hear him tell it — single-handily led the negotiations for the neighborhood with developer Transwestern. 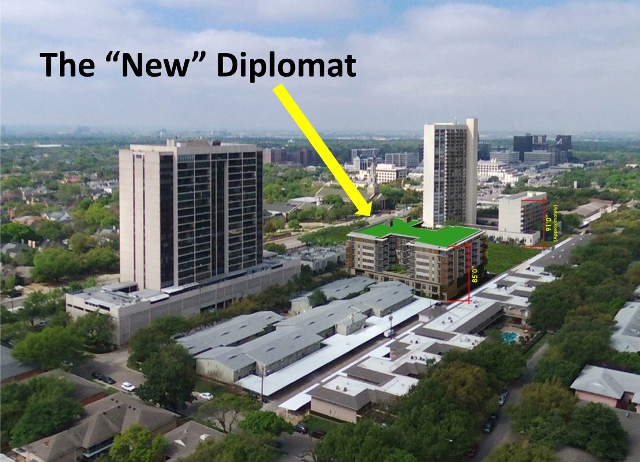 The highlight of last night’s PD-15 meeting was seeing the developer proposals for both the Diplomat and Preston Place by A.G. Spanos and Provident Realty, respectively. No slam on city planners, but somehow platting, drainage, and residential proximity slopes don’t hold the same ooo-ah as drawings. To give a few spoilers, A.G. Spanos’ plans for the Diplomat were much more baked than those presented by Provident for Preston Place. 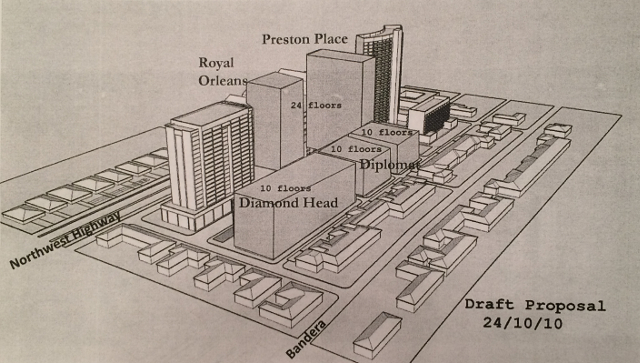 Where Spanos was showing the actual skin of their proposed building, Provident showed a stack of grey boxes resembling the Centrum on Oak Lawn Avenue and Cedar Springs Road. No skin, no windows, no life — a first date who shows up wearing a tent wanting to know if they look fat. A.G. Spanos has released a second, more thorough economic analysis of the feasibility of redeveloping Pink Wall parcels within the confines of the Preston Road and Northwest Highway Area Plan (PRNHAP). Spanos has a contingent contract to redevelop the Diplomat condos within PD-15 and has financed both viability studies. While Spanos has obvious motives, any economic data supplied is certainly more than the economic nothingness contained within the $350,000 PRNHAP study. How the city adopted that Santa’s lap of a plan, containing no financial underpinnings, still astounds. You’ll recall that in October 2017, my rough calculations exposed the then 10-month old PRNHAP as economically bogus. That was followed up in January 2018 by Spanos’ first report developed by architects Looney Ricks Kiss that backed-up my findings. Namely that the recommendations contained within the PRNHAP study’s “Zone 4” are not viable to build. This latest study offers more detailed and dire details for the PD-15 area (download here). To be clear, “not economically viable” means that a condo unit would sell for more money as a condo than as developable land. To sell under those conditions would equate to owners taking a loss on their home. In many cases it’s good when land is worth some fraction of a structure. It helps with neighborhood stabilization, curbing gentrification, etc. Good news. You don’t have to go to Idaho to fish in Bogus Creek. Last October, I wrote about how the NHPRAP (Northwest Highway and Preston Road Area Plan), not even a year old, wasn’t designed to be economically viable. Essentially, my scribbles revealed that were its Zone 4 area to follow the recommendations contained in the NHPRAP task force’s final report, their individual condominiums would always be worth more than land value to a developer. 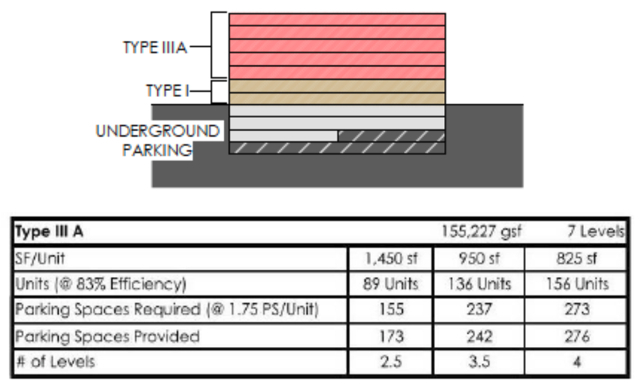 Note: Zone 4 contains PD-15 (Planned Development District) within the larger Pink Wall area. This lack of economic benefit ensures none of the redevelopment and neighborhood renewal touted by the NHPRAP plan will occur, failing to live up to its own goals. Well, now I’m not alone. A.G. Spanos (who has an option on the Diplomat) released an independent report by architecture firm LRK.